Filmstaden Storgatan - Visual meetings in Malmö! The day conference in central Malmö finds a warm and atmospheric home in front of the cinema at Filmstaden Storgatan. Beautiful chairs and meeting rooms designed specifically for the audience to see and hear as well as possible gives the meeting leaders and participants a most grateful conference environment! There are several hotels around Filmstaden Storgatan and this can be booked through the Kontur Konferens in connection with the conference. 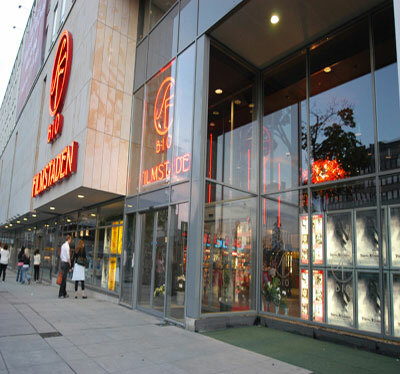 The actual meeting takes place in one of the Filmstaden's 3 conference-adapted cinemas. In fix cinema seating with good visibility and excellent image and sound, you have capacity for groups of 130-280 people, the maximum number in the different salons. In addition, there are nice areas for mingles in the foyer and other spaces that allow for individual evening arrangements. Finish the conference with a private film show of one of Filmstaden's exciting cinema experiences. Storgatan is centrally located in Malmö with Lilla Torg, Turning Torso and other attractions. The train to Copenhagen takes around 20 minutes and can provide a nice excursion for the conference group. Kontur's bookers are happy to help with more suggestions! Excellent location in central Malmö in the area of Lugnet. Walking distance to Central Station and other communications to Skåne and the rest of Sweden.